Home vs. 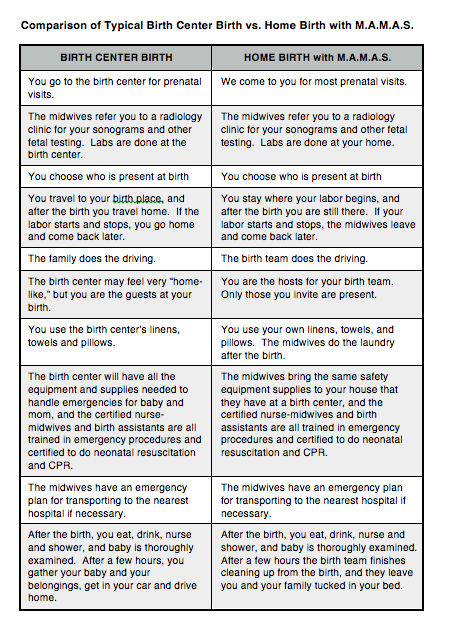 Birth Center–Which Is Right For You? Although MAMAS offers only birth in your home (with our fully-equipped mobile office), all three of our midwives have also attended births at birth centers. Click here to read an article on why one of our clients chose home birth, here to watch a short video from The Romper Diaries, or here for a longer video of another beautiful birth with one of our M.A.M.A.S. mamas.